Love your hot hatches? 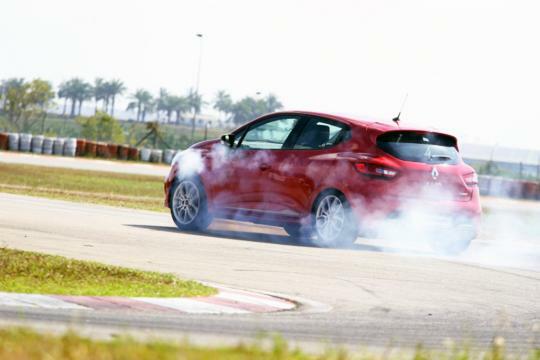 Then you would probably want to watch the new Renault Clio RS 200 EDC being pushed to the limit by professional driver Denis Lian at the Sepang F1 circuit in Malaysia. 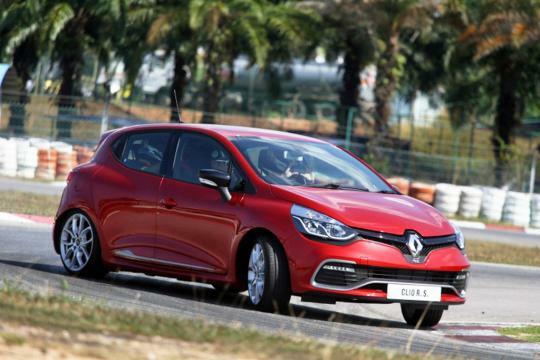 He clocked a impressive lap time of 2:48:001 which is five seconds adrift of its bigger brother, the Megane RS250. Should have driven a manual one instead. The auto one make it look boring. Not sure if it comes in manual. Many manufacturers worldwide are only producing autos even for performance models. Yea.. I read somewhere that they do not have manual for it.. even if you switch to race mode n reduce shift to its minimum time it's still a tad too slow.. Hot hatch?? imo, the only hot hatch i know is VW Scirocco..
imho, Daihatsu Charade is the only hot hatch i have driven, never driven no count. haha.